This book is part of a popular series on the materials science of MEMS devices, first published in 1999. In the years since, many sophisticated devices have emerged and many aspects of MEMS materials behaviors have been characterized. However, there remain many basic questions about the relationship between process, properties and function for MEMS materials. Experimental methods have been developed, but there REMAINS a lack of standardization that would allow comparison between laboratories and commercial vendors or the creation of materials specifications that would enable greater commercialization of MEMS. 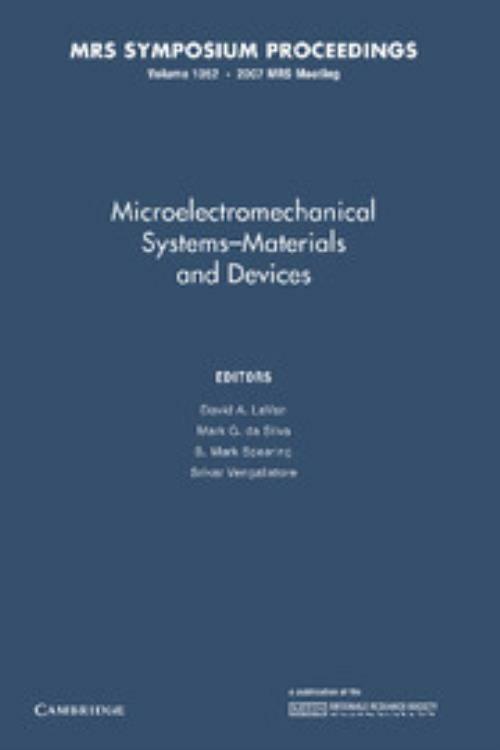 The book addresses many of these issues including: RF-MEMS; optical MEMS; MEMS metrology, tribology, materials characterization and mechanical behavior; MEMS surfaces, MEMS reliability, packaging and life assessment; MEMS modeling and software tools for materials integration; biocompatibility of MEMS materials and devices; new materials and fabrication methodologies for MEMS; microfluidics and nanofluidics; in vivo drug/gene/protein delivery; novel actuators; MEMS cell-based systems; MEMS neural interfaces; MEMS sensors; and MEMS microengines and microfuel cells. David A. LaVan Yale University, Connecticut. S. Mark Spearing University of Southampton.